Our much-loved New Year events are a great opportunity to meet new people and catch up with old friends. Therefore, dress up and join us in Manchester and have a fun night out welcoming in 2020! Try your hand at the casino tables, complete with ‘funny’ money, and try work out the tricks of the Table Magician. This is in addition to the ever popular Solos disco seeing in the New Year with something sparkling! Party in to the New Year with old friends and new! Manchester Airport Marriott is a firm favourite Solos venue that once again provides the party backdrop to seeing in 2020! Our Black Tie Ball is back bigger and better than ever with a welcome drink and canapes, followed by a four course meal with wine, dancing until late, coffee and cake at midnight along with a glass of bubbly to see in the new year! And if that wasn’t enough try your hand at the casino tables, complete with ‘funny’ money, and try work out the tricks of the Table Magician. 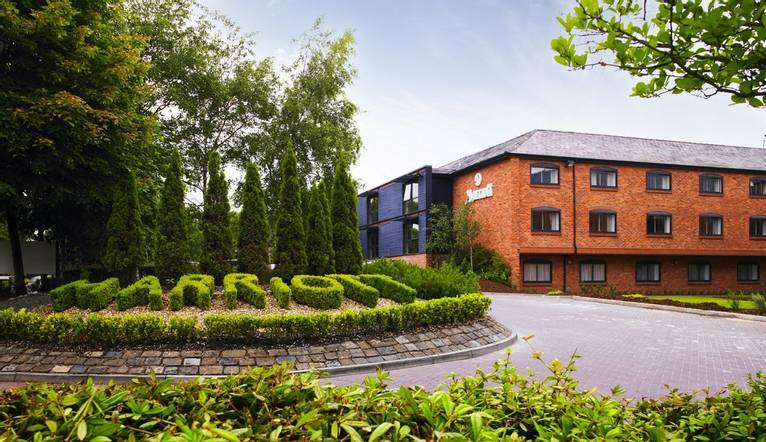 Marriott Manchester Airport Hotel is located close to Junction 6 of the M26 and also easily accessible to the M6. Car parking in complimentary and your car details will need to be registered at Reception upon arrival. The nearest station is Manchester Airport Mainline Station which is a 10 minute drive away. There is often confusion on the question of gratuities, since it frequently depends on the type of holiday, location and, of course, your attitude towards tipping, as to what is normally expected. In order to give you a rough idea, we have given appropriate guidance below. The Tour Leader will be on hand to offer advice or suggestions if required but gratuities are offered entirely at the sole discretion of the individual. We suggest a group collection at the beginning of your holiday to cover drivers, guides and hotel staff (including restaurant, kitchen and reception staff) of approximately £5. Your Tour Leader will collect this on your behalf and distribute it accordingly, thus relieving you of the burden of who, when and how much to tip. The tipping of bar staff and housekeeping will be left to your individual discretion (the rounding up of the drinks bill and a small amount left in your room on departure should cover this and would be much appreciated). For any meals that are not included in your itinerary, restaurants expect a 10% gratuity (do check that service has not already been added to your bill). For taxis 10% of the metered fare. The dress code is Black Tie (cocktail dresses for the ladies).